SeniorNet Motueka has bought a good selection of technology related books. Members can borrow these books at no charge. Please come to a club or other meeting and have a look. There might be a book you are interested in. Ann Bassford is our librarian. Please contact Ann if you have any question. 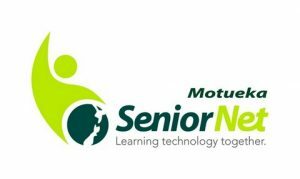 SeniorNet Motueka is a member of the Federation of NZ SeniorNet Societies Inc. The Federation also has agreements with a number of businesses where SeniorNet members can obtain discounts. These discounts are available to all members of SeniorNet Motueka.